Ever checked out this thing called the Internet? Of course you have: You’re on it right now! Odds are then you’ve heard of either OptiMind or/and Lumonol, two major nootropic stacks that seem to have ads everywhere on the Internet these days. If you’re anything like me, then you’ve written these stacks off a long time ago as bogus Internet ad jargon. Both are hyped for good reason: They truly do work for cognition & brain health. But does one work better than the other? And if so, how? I’m about to answer all of that and more in this nootropic geek review. Lumonol or OptiMind: Which is better? While I can’t say I’m too thrilled on the proprietary blend shenanigans happening here, both Lumonol and OptiMind are showcasing some hard-hitting blends aimed at enhancing Focus, Energy, & Memory. Lumonol’s formula sports a classic nootropic drug not often found in commercial nootropic stacks: Noopept–which is a more potent & powerful cousin to piracetam. As such, Lumonol helps spark mental power & memory, further supported by focus enhancing ingredients such as L-Tyrosine, Ginkgo Biloba, and Guarana (potential caffeine source for this stack, but I’m not entirely sure of this). Lumonol claims to support mental performance during work, play, or study by enhancing focus, energy, & memory. Yet, with a stimulant such as Hordenine, some caution is warranted–especially if you’re sensitive to stimulation. Clearing brain fog is the name of the game for OptiMind, which does so by supporting brain chemicals that sharpen focus & memory. 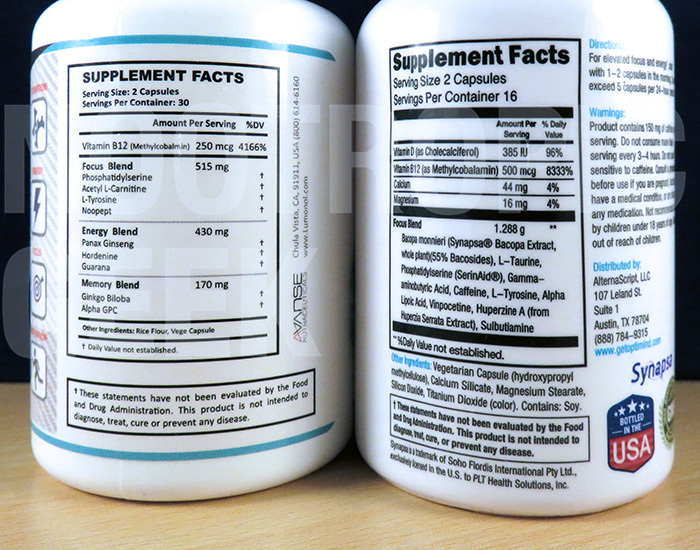 Similar to Lumonol, OptiMind carries Phosphatidylserine & L-Tyrosine, which enhance brain cell structure & focus respectively–particularly during conditions of high-stress (i.e. exam day, all-nighters, etc.). Combined, this stack seems to promote acetylcholine, dopamine, and serotonin neurotransmitters. Take note that OptiMind also sneaks in caffeine, a cheap form of mental energy (that I don’t necessarily qualify as “nootropic”). Yet, the mid-level priority of this compound speaks well of OptiMind’s prioritization of true nootropics over jittery energy. Head in the clouds or a serious case of brain fog? OptiMind urges you to get real and take care of both! Noopept: Typically, if I want nootropic drugs such as Noopept, I have to buy them as standalone supplements. The fact that Lumonol has it gives it a unique status in general. 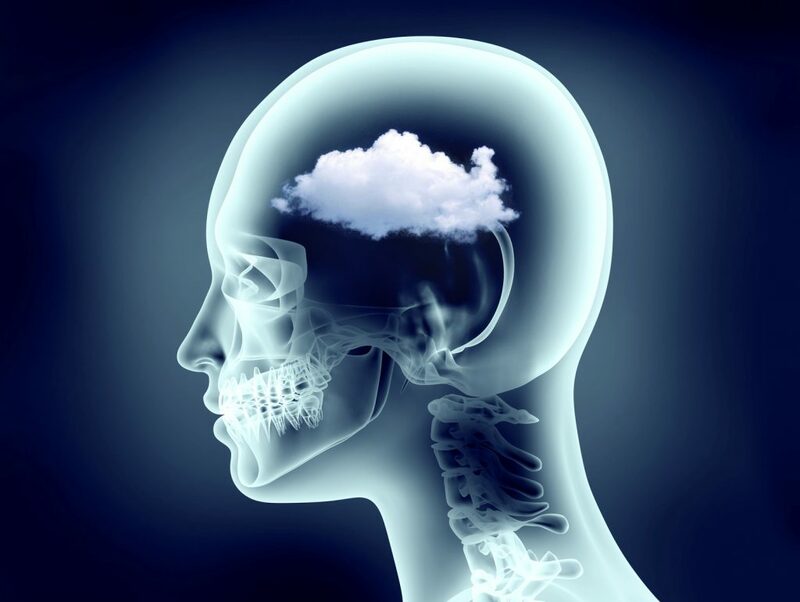 Acetyl-L-Carnitine: The best Carnitine form for brain health is Acetyl-L-Carnitine for its ability to cross the blood-brain barrier–however, its cognitive benefits seem to be limited to elder brain health. Ginkgo Biloba: Speaking of elderly brain health, Ginkgo is a notable “old folk herb” for its circulation enhancing benefits–yet, the herb may enhance memory & attention for all ages. Alpha GPC: Great choline source, particularly for cognitive health. While I prefer Citicoline to Alpha GPC, the latter provides more choline per serving, in effect providing more raw material for neurotransmitter acetylcholine & membrane supporter phosphatidylcholine. Synapsa® Bacopa Extract (55% Bacosides): Premium Bacopa extract at an extra potent standardization of 55% bacosides, the bio-active compounds in Bacopa Monnieri. This means greater bio-efficacy towards enhanced learning, focus, & memory. SERINAID® Phosphatidylserine: Both formulas provide phosphatidylserine, yet OptiMind’s version is in high quality, branded form. This simply looks better than Lumonol’s PS. Sulbutiamine: While both Lumonol & OptiMind provide quality B12 (as methylcobalamin), only OptiMind has this advanced form of vitamin B1, which shows promise (albeit under-researched) for mental performance enhancement. Caffeine: Ever heard of this stuff? OptiMind has it, thus boosting the stack’s energizing effect. Lumonol might have caffeine due to its Guarana addition, but OptiMind outright advertises the fact. One of the first things I check for during these reviews is which formula uses proprietary blends and which does not. 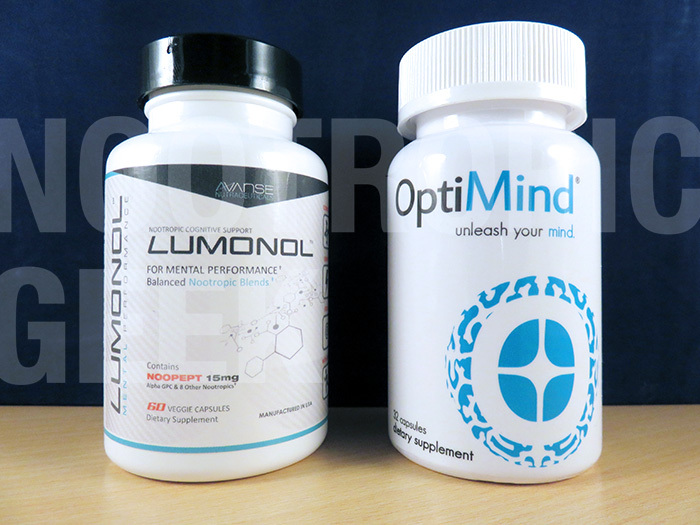 Unfortunately: Both Lumonol & OptiMind hide their dosages under proprietary blends. 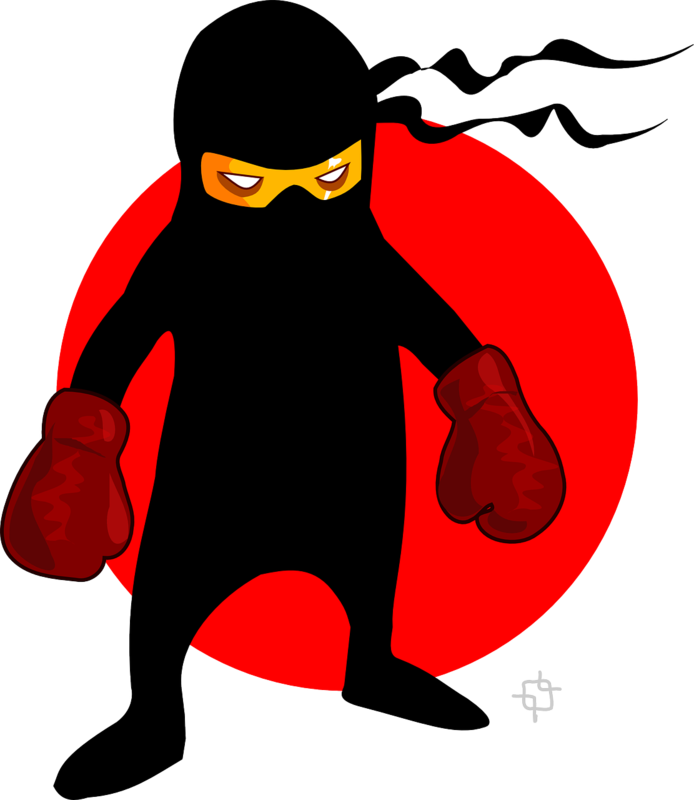 Leave obscurity to the ninjas and out of my nootropics. This is a bad start for both products, yet an even badder start for OptiMind (or rather an even gooder start for Lumonol) since OptiMind hides more of its individual dosages under a catch-all blend dosage than Lumonol does–which divides its ingredients into 3 catch-all dosages: Focus Blend (515 mg), Energy Blend (430 mg), & Memory Blend (170 mg). Plus, Lumonol’s dosages for the most part look solid, whereas OptiMind’s prop blend dosage leaves me guessing. And geeks don’t like guessing. Yet, OptiMind seems to more than make up for this by providing premium ingredient qualities (a couple of which are branded) that don’t necessarily require heavy dosages to reach peak bio-activity. Synapsa, for example, supplies an impressive 55% bacosides standard, which is woo! potency. That’s good news for all you students seeking an effective nootropic study aid. Everyone knows more is better, right? Lumonol is a better formula for mental energy. The “Why?” is already answered here: To boost focus, memory, & energy. Therefore it’s my role in these reviews to figure out the “How?” and what I found with Lumonol, I like: As opposed to OptiMind, which does effectively boost these functions (albeit through caffeine), Lumonol manages to enhance mental performance seemingly without cheap stimulation. Even if the Guarana extract is secret code for “caffeine,” I’m willing to give Lumonol credit for notching in a rare supply of Noopept, which has been described to have a psychostimulatory effect upon consumption. What’s cool about this is that Noopept (being a racetam-like compound) operates by enhancing natural mental production. Stacking this compound with Alpha-GPC‘s choline source is smart, creating a proper nootropic mix that truly lightens up the mind. OptiMind offers better nootropic quality. Lumonol has solid ingredient choices. OptiMind has solid ingredient choices of exceptionally high quality. If Noopept enhances drug-induced cognitive functioning, OptiMind raises the bar instead through potent, powerful, and natural Bacopa monnieri (branded as Synapsa®). That 55% bacosides is nothing to scoff at. And neither is the SerinAid® Phosphatidylserine, which qualifies as one of my favorite nootropics currently on the market. Admittedly, I’m not too happy with OptiMind’s prop blend obscurity, but these potent nootropics do enough to appease my mind. OptiMind mixes good, high-quality ingredients, but it’s hard to give them a full pass considering I’m not 100% confident that they’re adequately dosed. Plus, the caffeine content seems like a cheap grab at mental alertness. Typically, when prop blends & caffeine are used together, it’s to hide the fact that much of the mental power benefits are simply coming from a heavy dose of caffeine. Hopefully, that doesn’t come across as an accusation, but rather a cautionary note. Lumonol mixes unique ingredients for mental & circulatory brain-flow. Enhanced cerebral circulation for increased levels of nutrients & oxygen in the brain helps maximize brain health & energy production, whereas Noopept & Alpha-GPC’s 1-2 support on neurosynapses bolsters memory & mental performance. The Tyrosine in both formulas will simply have you feeling good during otherwise stressful conditions. As such, I can recommend both products to students, workers, & anyone looking to enhance their mental output.